The strike in Ireland featured twice in this week’s top 10 after Pfizer employees in County Cork lost a dispute over pensions. Two of our features also appeared in the top stories of the week. While ‘Counterfeit drugs – countering the lies’, picks apart ‘common sense’ claims on counterfeit drugs in asking to what extent the problem of falsified medicines is a problem at all; ‘Repurposed drugs’ looks at the Supreme Court ruling on the Lyrica patent and asks what it means. However, the top story of this week covered GSK move to buy Merck of Darmstadt’s immunotherapy cancer treatment in a deal worth up to $4.2 billion. 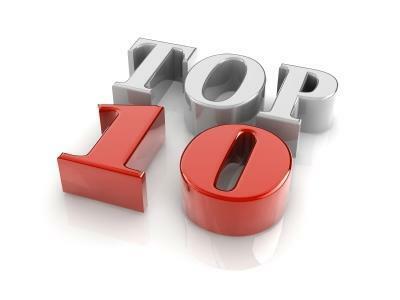 Check out this week’s top 10! US multinational Pfizer is going ahead with its decision to transfer 900 of its Irish employees into a new defined contribution pension plan on 1 April, the company has said. Second medical use patents protect the discovery that an existing drug is effective to treat a new condition. But, following the Supreme Court ruling in the Lyrica (pregabalin) case, how are such patents infringed, and what does it mean as we enter 2019?